It has been built from the ground up with usability in mind, having the same consistent graphical user interface for both SFTP and FTP browsing. Multiple connections are supported. Drag and drop is supported consequently for transferring files between server and client. A transfer queue keeps track of the pending file transfers and supports resuming of both downloads and uploads. Local files can be synchronized with files on the server. System technologies such as the Keychain, Rendezvous and AppleScript are supported. 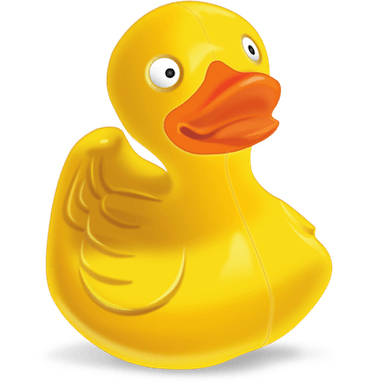 Cyberduck integrates seamlessly with external editors such as SubEthaEdit, BBEdit, TextMate and others. Works with thirdparty providers using either the S3 or Openstack APIs. Browse Amazon Simple Storage Service like your harddisk. Supporting the latest and greatest additions to the S3 storage options. Define website endpoints, enable access logging, configure storage class, encryption and bucket location. Browse and move your files quickly in the browser with caching enabled for the best performance. Works with any character encoding for the correct display of Umlaute, Japanese and Chinese. Allow the selection of files in the browser by typing the filename.